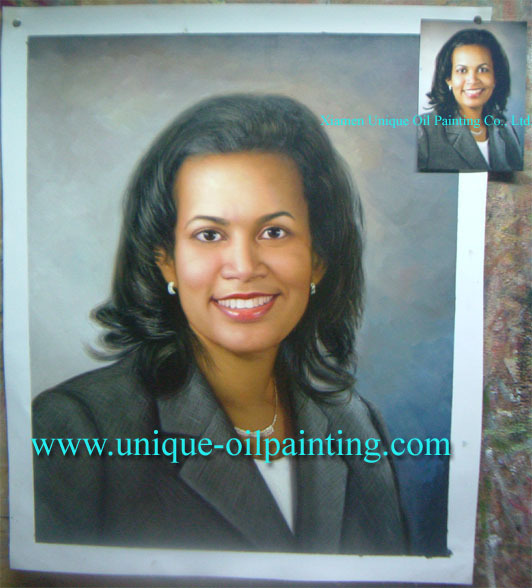 We are good at making oil paintings from customers' photos, such as portrait oil painting, children oil painting, wedding oil painting, family oil painting, pets oil painting, truelife scenery oil painting, etc. We always send images of finished paintings for your approval before shipment. If there is anything need changed, we will make changes until your 100% satisfaction. Customers'100% satisfaction in quality is guaranteed. We also offer a 7 days unconditional money back guarantee. You are very welcome to contact and join us. We expect to establish long-term businese with you.